If you’ve ever wanted to go deeper in your relationship with God, today’s episode is for you. 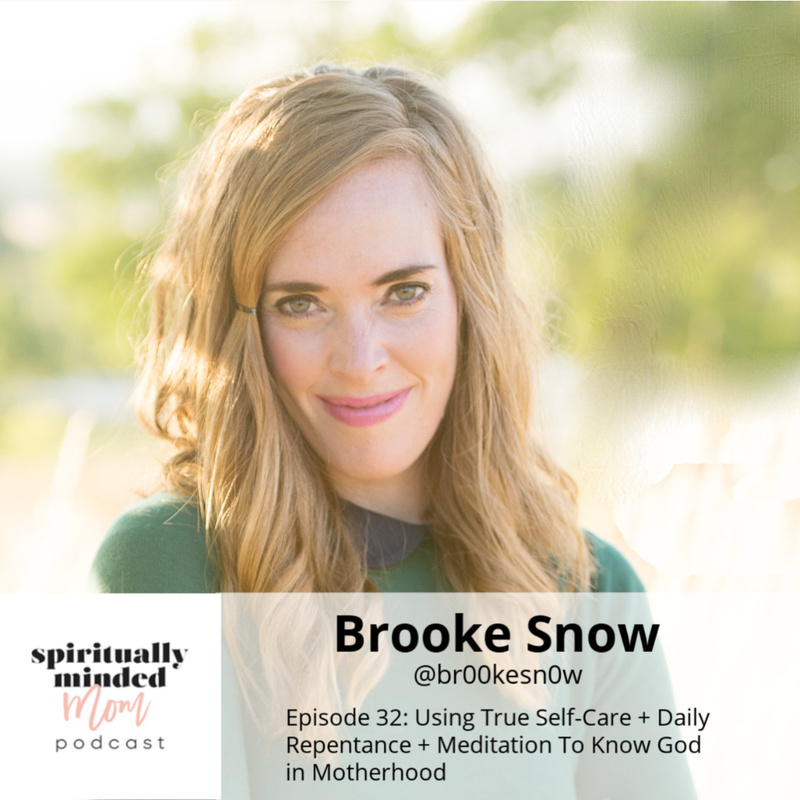 In this episode of The Spiritually Minded Mom Podcast, I interview Brooke Snow. Brooke teaches others how to apply spirituality to everyday life. Personally, Brooke views daily repentance and meditation as ways to know God more fully. I have followed Brooke for several years and recently read her new book Living in Your True Identity (which I HIGHLY recommend). She has helped me so much, and I am excited to share this interview with you. Like most mothers, Brooke has struggled in the past with comparison in motherhood. She gives some practical things she has done to combat those feelings. Brooke talks a lot about “self-care,” how her view on it has recently changed, and what it means for her. She said, “Self care is being nurturing to you, and loving to you, and in a way that helps you to develop into who the Lord created you to be.” She gives advice and shares some meaningful analogies to help you visualize how daily self-care is the best way to sustain constant growth. Next, Brooke shares some questions she brings to the Lord every single day while praying. These questions help her repent and know what the next step the Lord wants her to take is. She shares how asking for the next “step” rather than the whole picture has helped her progress and feel the Lord’s guidance. Finally, she concludes by sharing how she has seen God as her partner in motherhood and how she has come to know him on a deeper level through prayer. Brooke mentioned her online class about prayer and meditation called Christian Meditation. You can go here to learn more. She also has a new class that is free called How the Law of Attraction Fits in the Gospel. Go here to register for this class. 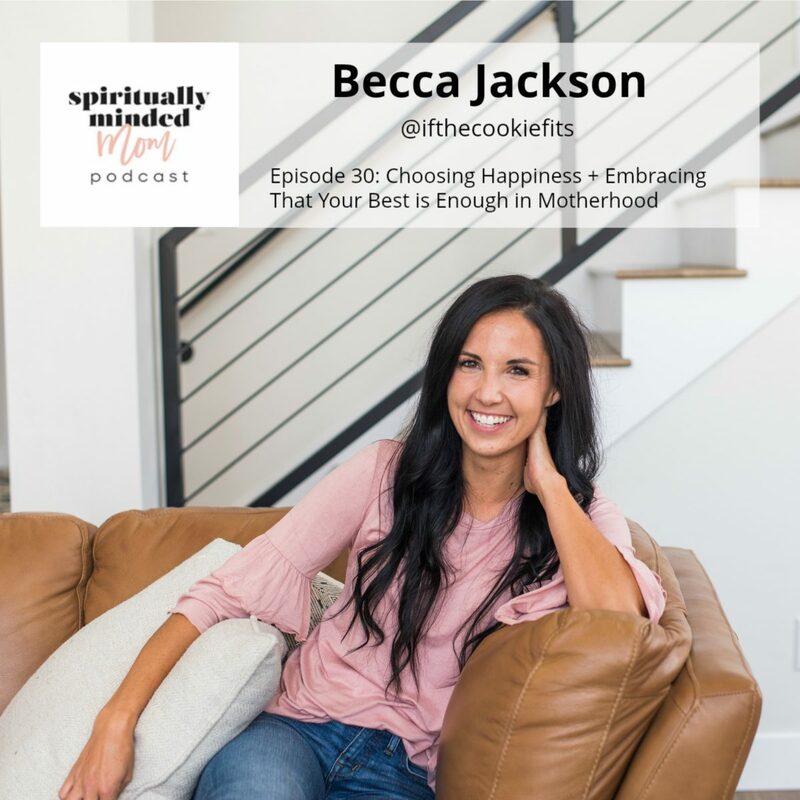 In this episode of the Spiritually Minded Mom podcast I interview Becca Jackson. Becca is on Instagram sharing tips on motherhood as well as health and fitness. She shares how she fell into the trap of being the “Pinterest perfect mom.” Becca talks about how she is choosing happiness instead of perfection in motherhood. Becca shares some personal struggles she went through after giving birth to her third daughter. She decided to make the choice to look at things differently and change her perspective, despite some negative feelings she was having. She talks about choosing to have a positive and optimistic outlook everyday. Whether things are going good or bad, Becca believes there is always the choice to be positive. You’ll also hear about Becca’s weight-loss story and what made her finally decide to never give up. The internal transformation for Becca has been just as important as the physical changes. She talks about body image and how she teaches her daughters confidence and living a healthy lifestyle. Ultimately, Becca tells how all of the physical changes she has made tie into her spiritual life. Becca describes how God has been her partner in motherhood and how she embraces the truth that doing her best is enough. Courtney Casper is my guest on this week’s podcast. Courtney is a mom to three girls, a wife and currently lives about 30 minutes from the nearest stop light, so she spends a lot of time in her car. She thinks of scripture study as a “magic wand” in motherhood and has found practical ways to make scripture study a daily habit in her busy mom life. I found Courtney’s Instagram account last year after hearing her interview on the Women With Fire podcast. I listened to that episode multiple times and felt so inspired by everything Courtney shared. She is a bright spot on social media sharing her hand lettering and and her posts and stories have frequently been exactly what I needed to hear in my life at that moment. 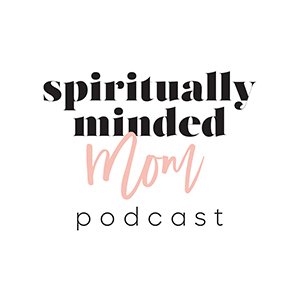 She is a huge advocate for daily scripture reading and in this episode she not only shares how daily scripture study became a part of her busy mom life but also gives some really practical tips that are totally doable for anyone wanting to incorporate daily scripture study in their life. In the interview we also talk about how social media affects moms and how to combat the negative effects. 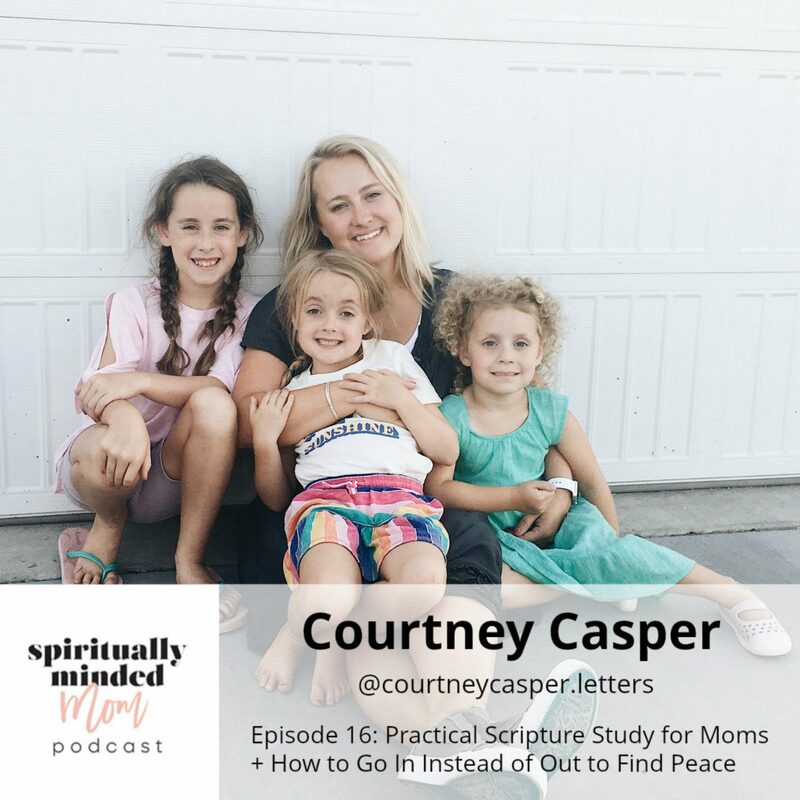 Courtney shares her thoughts on how to go “in” instead of “out” to find peace in your life. I also really loved what Courtney had to say about what she has learned from her children about being who you are. Courtney is the real deal. I loved talking to her. In fact, we had a great conversation after we finished recording. She is genuine and honest and her faith shines through in everything she does. Her mantra about scripture study is “you just need 10 minutes” and her message in this episode offers hope and inspiration to all women who want to learn to walk in faith and trust God more fully. Listen to the podcast below or on iTunes, Google Play, Stitcher or Sound Cloud. If you like the show, please subscribe and leave a review.